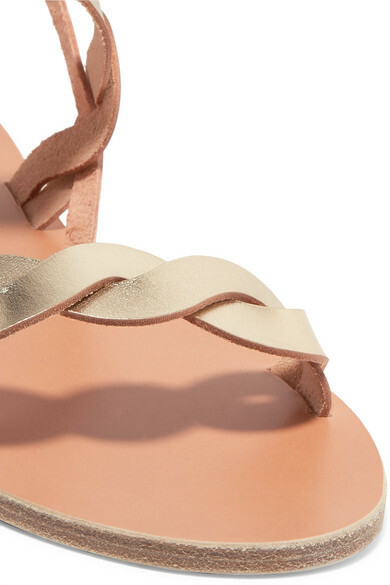 Ancient Greek Sandals' designs are inspired by the magical landscapes and mythology of its native land. 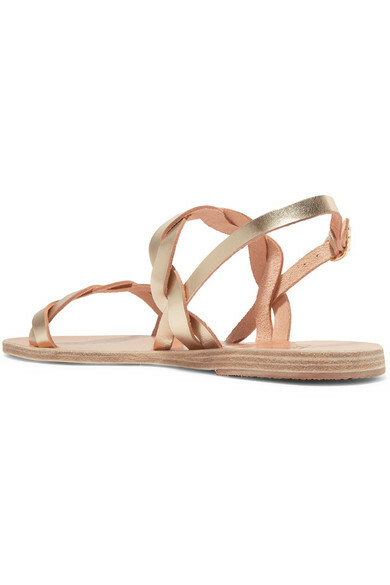 These 'Plexi' sandals are hand-braided by local artisans using strips of supple gold leather. Wear them with bohemian dresses while on vacation or in the city. Shown here with: Lisa Marie Fernandez Dress, Loeffler Randall Clutch, Alighieri Necklace, Dinosaur Designs Earrings.